Envelope printing is an integral part of every business setup. There are numerous occasion when use of this product is a necessity. Letters, correspondence, magazines, newsletters, quotes, postal deliveries can be safely sent using these products. Business envelopes are a perfect way of communicating. The documents inside are safe, and it provides much needed privacy to confidential documents. Business envelope with company’s name and logos is a big advantage, nowadays you will see every company going for it. It is cheap and effective way of business identity promotion. Apart from business need you can use it for personal reason like sending letters or a personalized gift to your near & dear ones. We, S S Graphics are a trustworthy name when it comes to envelope printing. We offer supreme printing service solutions for varied envelops like window envelopes, commercial envelope, business reply envelope and self sealing envelope at an affordable price. Quick pricing for your envelop printing. High quality one, two or four colors envelop printing. Wide range of designs and patterns to choose from. Digital and offset printing options. Envelop printing with different standard size options. Different open sides envelop printing. 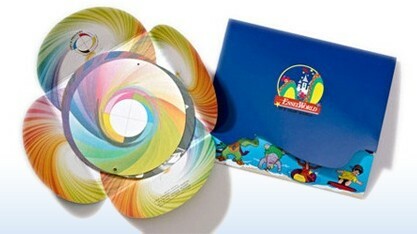 Laminated outer side and inner side envelop printing. Guwahati Printers has all envelop printing solutions available for a variety of business envelops such as, commercial envelopes, window envelopes, self-sealing envelopes and business reply envelopes. A quality printed envelope enhances ,reinforces one's brand image andcorporate identity. It conveys a professional and uniform look to your business correspondence, and greatly increases the chance of customer attention. Envelope printing can be an incredibly inexpensive method of marketing so be sure to include company colors. Envelope printing should include your logo and corporate identity in such a manner that it improves the read rate of direct mail. Full-color envelope printing may be resorted to where it's important for your corporate colors to stand out in terms of branding. Size : Choose an Option... A-10 (4.125" X 9.5") A-7 (5.25" X 7.25") A-9 (5.75" X 8.75") 4.375" X 5.75" 6" X 8.75" 9.5" X 12.5"